Conway Stewart model 68 from the 1960s. 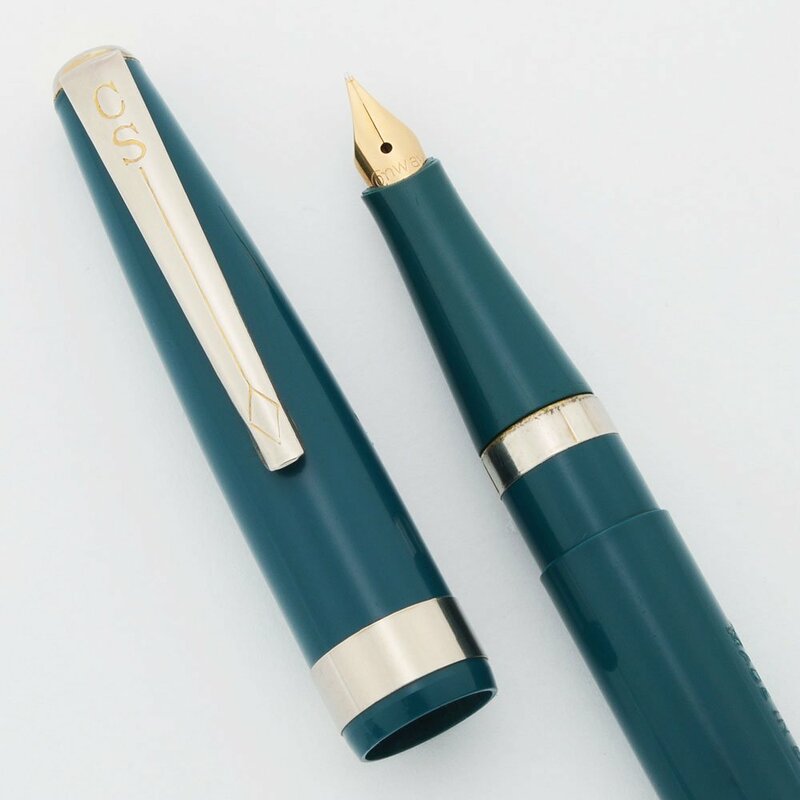 Blue body with chrome/silver colored trim with a gold wash. Fine 14k semihooded nib. Original late Conway Stewart aerometric filling system has a new sac and is working well. Excellent + condition. Manufacturer and Year Conway Stewart, England -- 1963-67. Filling System Aerometric squeeze filler. The Conway Stewart aerometric filling system has been preserved. A new sac is installed and tested. It is working well. Color Teal, blue green, plastic with chrome colored trim covered by a faint gold wash. A turquoise color was also produced but we think this is the teal color. 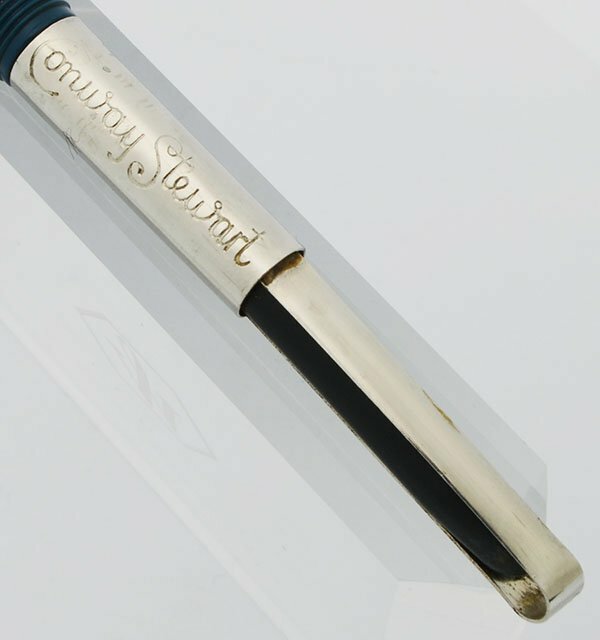 Nib Fine 14k semihooded Conway Stewart nib. It writes smoothly. Condition Excellent + condition. The plastic and trim look great. The barrel and clip imprints are crisp. It looks like there was originally a gold wash to the trim, but it is very faint and hard to notice. The pressure bar for the filling system is a little crooked, but it works well.